US Air Force/Capt. 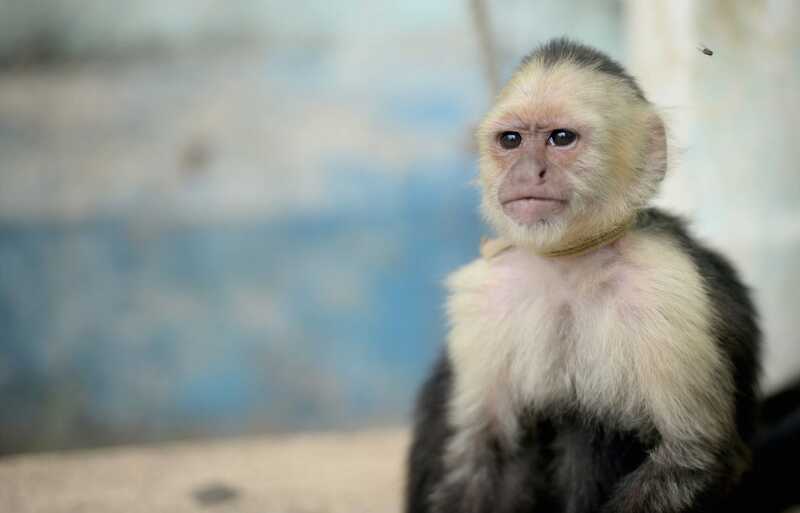 David J. MurphyA capuchin monkey in Trujillo, Honduras. A scientist who studies ageing in monkeys thinks that metabolism is at the center of the ageing process. In her studies, caloric restriction seemed to protect monkeys against age-related damage and diseases. A study on caloric restriction in humans showed parallel effects. Instead of survival of the fittest, evolution might actually be about survival of the laziest. That’s according to a new study published Tuesday in the journal The Royal Society. Researchers from the University of Kansas studied fossils of ancient mollusks and gastropods, and found that organisms with higher metabolic rates were more likely to go extinct. Animals that required less energy to power their daily lives and maintain their bodily functions were more likely to win in the long run, the results showed. While metabolism isn’t the only factor that determines whether a species goes extinct, the researchers suggest that it’s a very important component of long-term survival. 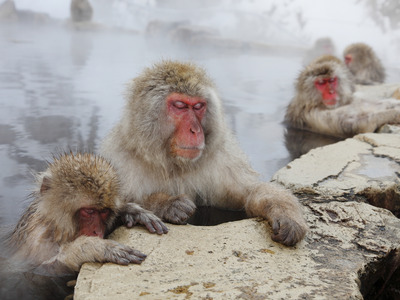 Rozalyn Anderson, an associate professor at the University of Wisconsin’s School of Medicine and Public Health, told Business Insider that her work in monkeys also suggests metabolism is at the center of the ageing process. “I think it’s all about energy: energy use, energy storage and the type of pathways that are being engaged to derive energy,” she said. Anderson’s most recent research has been on the impacts of restricting caloric intake in Rhesus monkeys. In a study of 76 monkeys published in the journal Science in 2009, Anderson and her colleagues found that restricting how many calories the animals consumed by 25% over a span of 20 years made them age differently, compared to a group of control monkeys that ate however much they wanted. The monkeys who ate less were 2.5 times less likely to have an age-related disease like cancer or heart disease. She added that restricting a body’s caloric intake – the fuel it takes in – alters how the body produces and consumes energy, making it more energetically efficient. Anderson also noted that the monkeys that underwent caloric restriction maintained their level of physical activity as they aged, whereas the control animals’ physical activity levels decreased. She explained at a conference in 2014 that for calorically restricted animals, there’s a lower metabolic cost associated with movement – more “bang for your buck” when it comes to trading nutrients for usable energy units. When humans restrict their calories, researchers have seen similar outcomes. A two-year-long, NIH-supported study published in The Journals of Gerontology in 2015 found that participants who restricted their calories by 12% on average saw decreases in risk factors that contribute to age-related heart disease and diabetes. The experiment did not significantly alter their metabolism, though. Anderson said that in her various studies of different facets of ageing, she’s most fascinated when her research uncovers pathways that converge and overlap. This is happening more and more in the field of ageing, and it’s helping her piece together why caloric restriction seems to alter parts of the ageing process. For example, she found that a specific group of microRNAs – molecules that control gene expression – that she studied in relation to ageing a while back plays an active role in the body’s response to caloric restriction. Anderson also found links between caloric restriction and her previous studies on NAD, a molecule that’s tied to energy metabolism and mitochondria. Putting these cellular-level studies into a bigger picture allows Anderson to gauge how all the moving parts come together when calories are limited. Ageing is inevitable, Anderson said, but her work is suggesting that how you age is flexible and manipulatable. Understanding the relationship between metabolism and ageing will allow scientists to better design studies on longevity. And as more research reveals how and why animals with lower metabolisms live longer and survive better, scientists may be able to figure out ways to mimic those effects in humans.